It allows to collect all the process data, to display them on monitors, to record in the data base, to develop graphics in order to trace historical data, manage alarms and parametrize process. Each SCADA system is fully tailored to furnace and controller architecture and can be made of different access levels in order to grant the maximum exploitation to all users. Through SCADA the operator will settle all set point values, alert thresholds, manual or automatic operations, motor speed adjustment or whatever the operator in the control room needs to drive for managing the furnace. A software interface specially developed and installed in the central server handles the connection (if chosen) with external devices to the network such as , tablets, mobile phones, smart phone, etc. 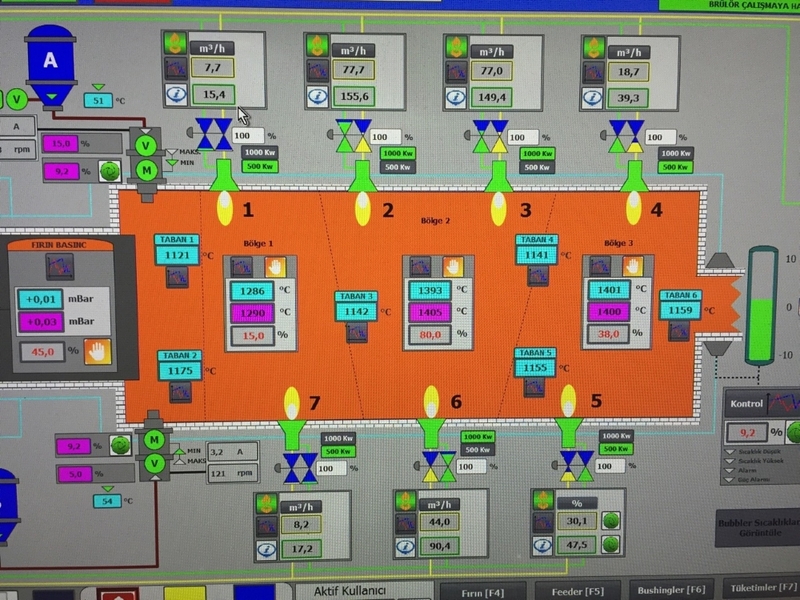 The SCADA is installed in the operating control room where the operator will control the whole system and he will have the possibility to work on all devices as well as manage various functions.